So apparently I have a problem. I’ve started taking perfectly non-Halloweeny snacks and turning them black and orange. See? Do you see this? What is this about? This should have been a simple jar of pudding. 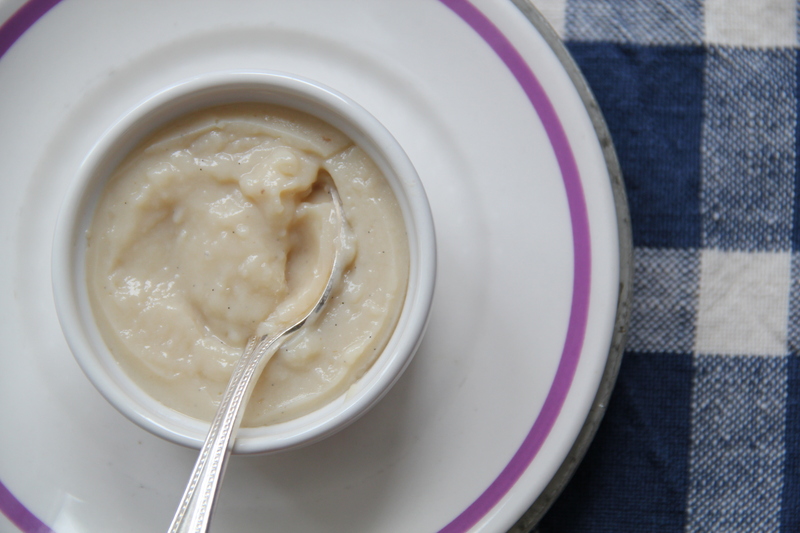 Just pudding, made with milk and brown sugar and a vanilla bean, creamy and simple, from scratch. 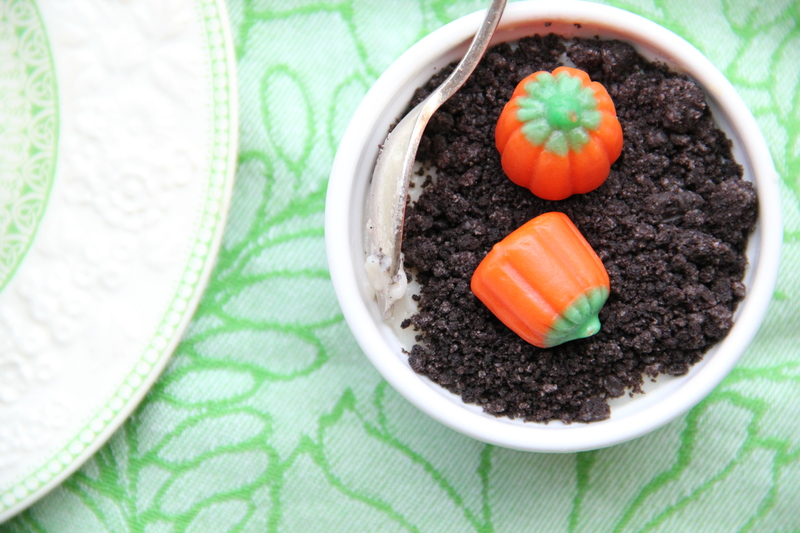 I just had to add crushed oreo “dirt” and little candy pumpkins. 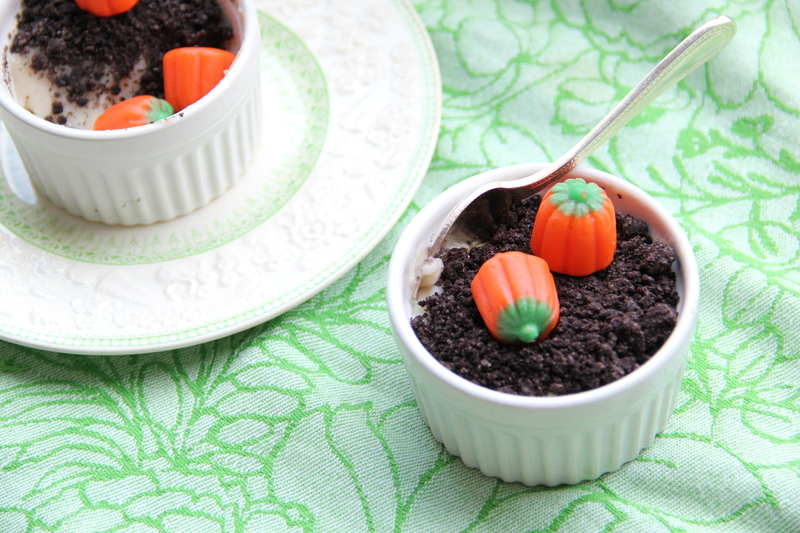 For the Halloween pudding pumpkin patch. …Who am I? So embarrassing. Kitschy? Yup. Frou frou? Maybe. Satisfying? You bet your brown sugar vanilla beaned bottom. 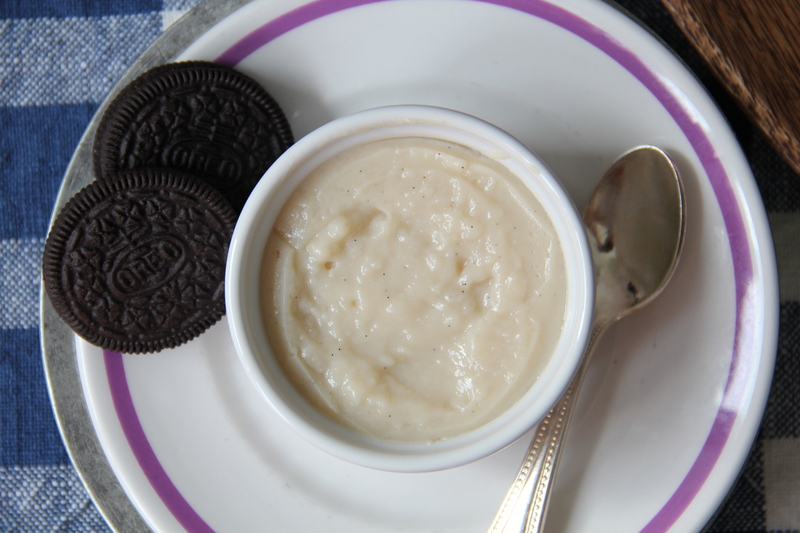 Bring 2 cups of the milk and the vanilla bean (seeds and empty pod) to a boil in a medium saucepan, stirring occasionally to prevent scorching. While the milk is heating, combine the sugars, cornstarch and salt in a medium mixing bowl, using a whisk to thoroughly combine and smooth out any lumps. Make a well in the center of the sugar/cornstarch mixture, and slowly whisk in the extra 2/3 cup milk and the egg, until completely smooth and lump-free. Once the milk has started very gently boiling, remove the vanilla bean pod from the pot and remove the pot from the heat. Very slowly pour the hot milk into the sugar mixture, whisking constantly, until fully incorporated. This step is called tempering (you add the hot milk to the sugar/egg mixture very slowly, bit by bit, so as not to cook the eggs and end up with grainy pudding). Pour the entire mixture back into the saucepan and place over a medium flame. Stir the mixture constantly with a rubber spatula or whisk. The pudding will start to thicken, and then it will start to slowly boil. Let it boil gently, continuing to stir, for two full minutes, and then remove the pudding from the heat (if you’re using vanilla extract or want to add a dash of rum, add it now). Carefully pour the pudding into six small cups, jars or ramekins, and cover each with plastic wrap pressed directly onto the surface of the pudding (this prevents pudding skin). Place in the refrigerator for about two hours, until chilled and set. 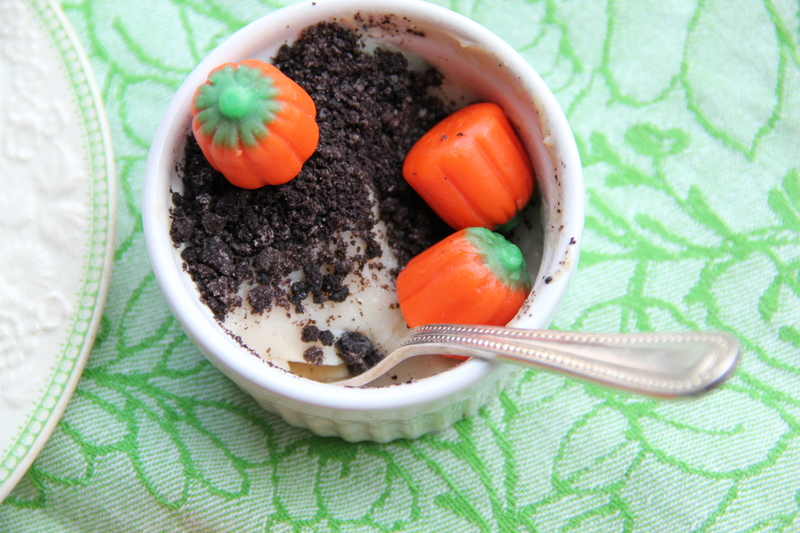 To decorate, spoon crushed oreos atop each jar of pudding and arrange candy pumpkins to your liking. Or don’t, whatever.